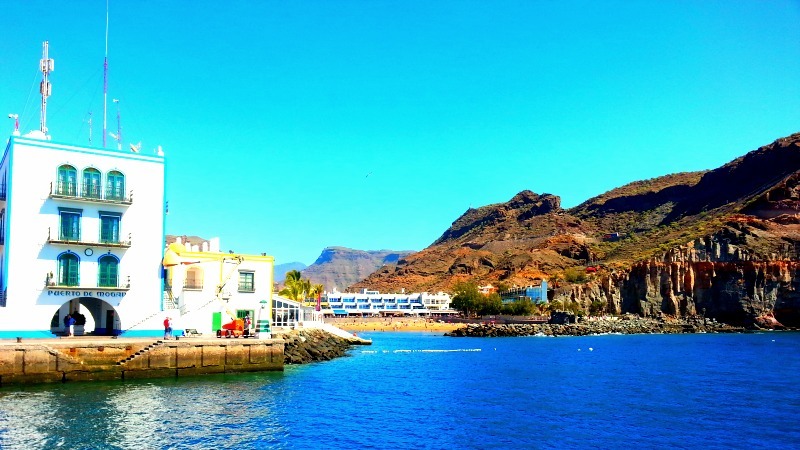 The Harbour Puerto de Mogán is a charming old fishing village that tourists visit on day-trips from all over Gran Canaria. In recent years it has grown quite a bit with two large hotels, villas and apartments, turning it into a busy holiday town. 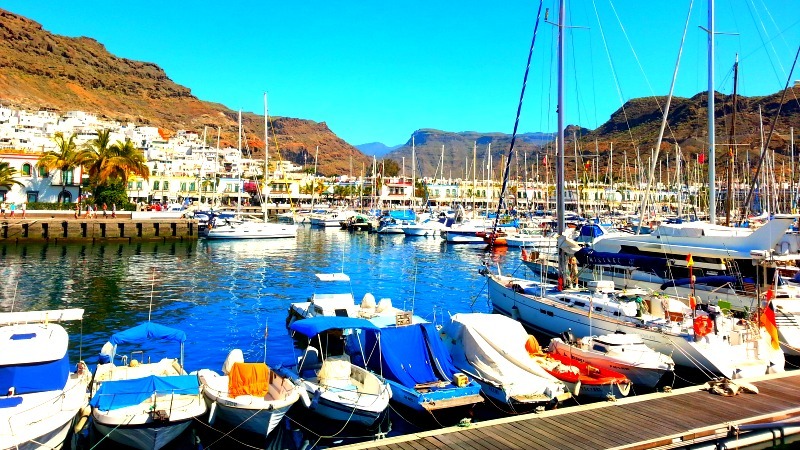 The Harbour Puerto de Mogán is a charming old fishing village that tourists visit on day-trips from all over Gran Canaria. In recent years it has grown quite a bit with two large hotels, villas and apartments, turning it into a busy holiday town. 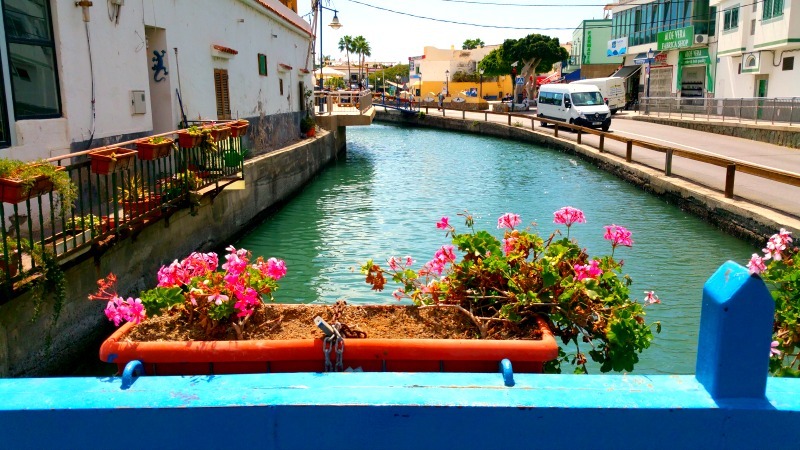 The town is nicknamed “little Venice” due to its bridged salt-water channels and inviting architecture. 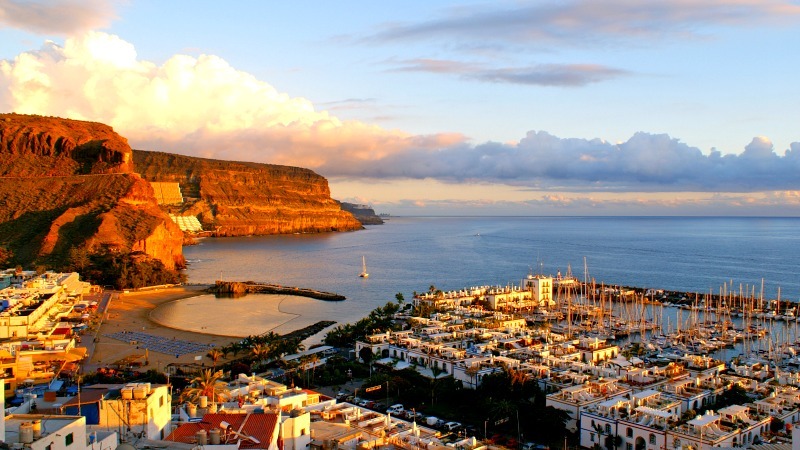 The old-fashioned style of the buildings, combined with impressive scenery and quaint atmosphere, make Puerto de Mogán very appealing. It is not only the beauty of the village that is tempting. Visitors can enjoy a wide range of activities such as shopping, beach life, action-filled water sports and exploring ancient ruins. Here you have everything you want within a stone’s throw away. The best way to shop is to wander around the narrow, cobblestoned streets and explore the village’s peculiar charm. 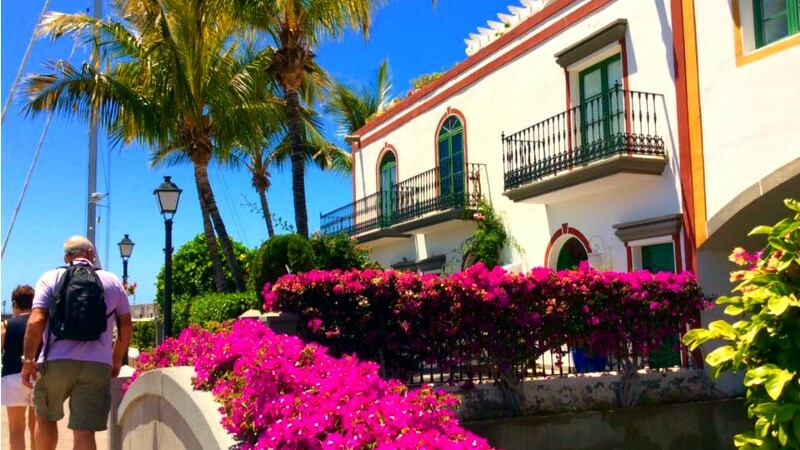 The Puerto de Mogán shops are scattered amongst the low-raised Mediterranean villas, with iron-wrought balconies and blooming bougainvillea. They offer art, clothing and accessories as well as other goods. It is well worth the walk-around just to soak in the atmosphere of the village. On market days, the village springs into bustling life. The marked stalls are filled with everything from fresh fruit and food, to clothing, jewellery and art. 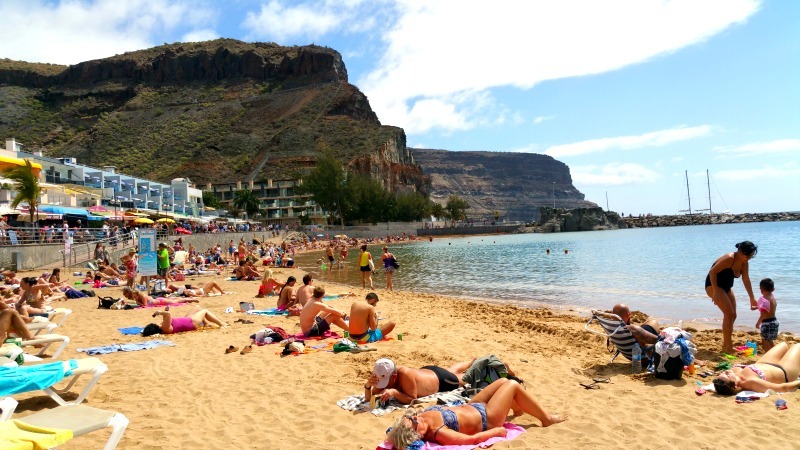 Friday is by far the busiest day due to being the village’s market day, as people from all over Gran Canaria arrive even by boat or ferry to shop. The artisan market on Mondays is the place to go to sample local art and hand crafted items. All the stallholders must have artisan licenses to prove that they local artists. The items are higher priced, but unique and generally of good quality. Since 2015 you can also visit the Cañada de los Gatos, an archaeological site on the Western hillside of the town. The tranquil harbour hosts a range of small cafés and restaurants, inviting visitors to enjoy the spectacular view over a coffee or a glass of wine. Here, both yachts and fishing boats lie side by side, as ocean yachts stop here on their way into the Caribbean. The area is great for a trip out at night. The restaurants offer tempting fresh local fish, and local musicians come together at the restaurants to play live music. The beach is inviting with golden, fine sand, and it is possible to rent both kayaks and loungers there. If you want to work on your tan or indulge in action-packed water activities such as jet skiing and para-sailing, here you can do both. The warm, calm waters make Puerto de Mogán a great place for snorkelling and diving, and the yellow submarine is ready to let you explore the underwater world. COMMENTS: Leave your thoughts and opinions below.